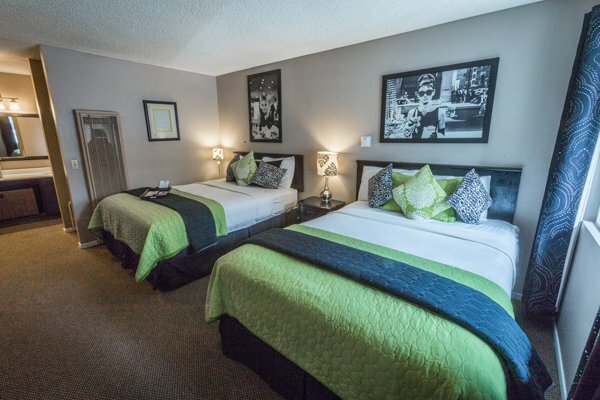 Audrey Hepburn themed room that is ideal for a family of four looking for a comfortable getaway. A keurig brewer, microwave, mini fridge, flat panel tv, and other plush amenities are also included. 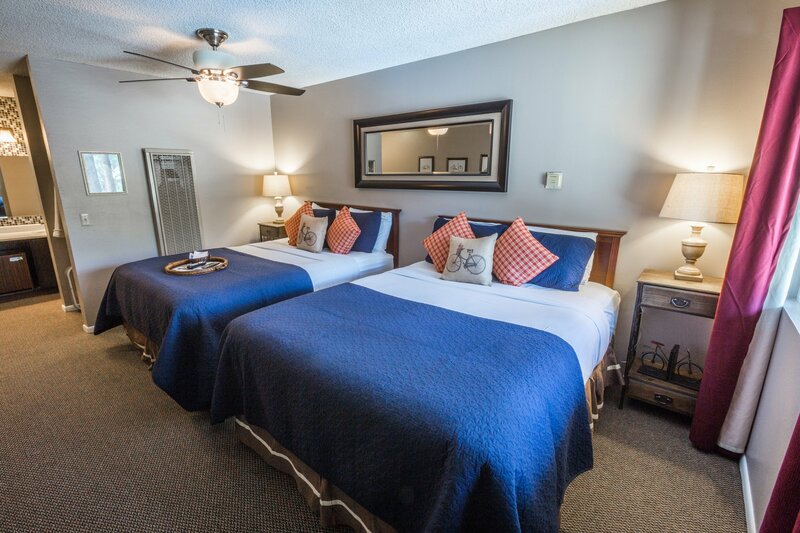 Perfect for a comfortable getaway for up to four, unit 15 is decorated in cool grey tones with two queen beds, wine glasses and a bottle opener,plush robes, a 32" flat panel television, microwave, keurig brewer and a mini refrigerator. 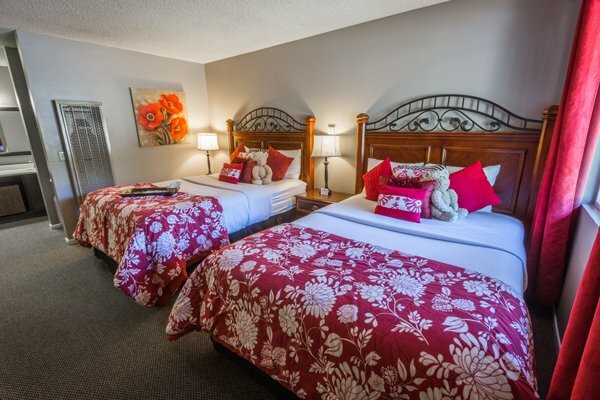 Tastefully decorated like a perfect guestroom in red and white, this unit features two plush queen beds, a microwave, mini fridge keurig coffee brewer, and the decor to make you feel like you are at home. 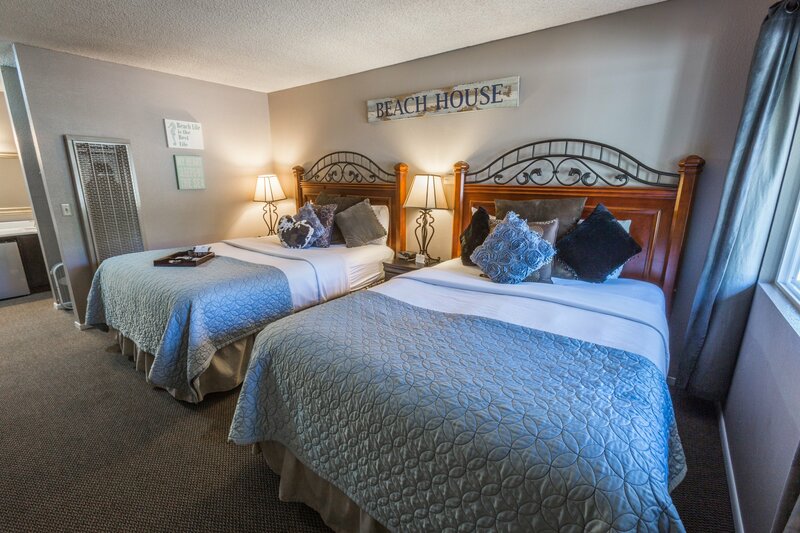 A beach themed room that features 2 beds, unit 18 is ideal for the family who is looking for comfort while enjoying the adventures of Tahoe. Equipped with a keurig brewer, microwave, flat panel tv, and other top notch amenities, you may not want to leave! 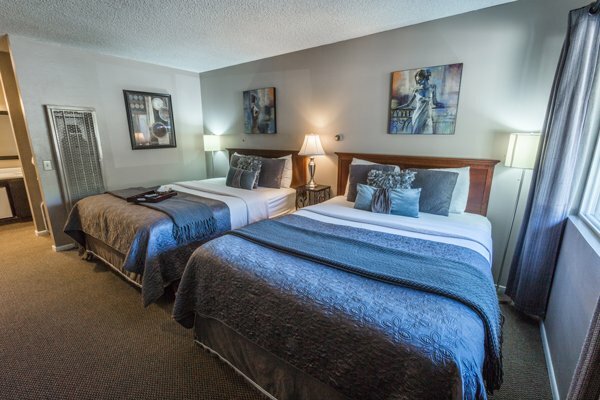 Tastefully decorated like a perfect guestroom, this unit features two plush queen beds, a microwave, mini fridge keurig coffee brewer, and the decor to make you feel like you are at home.